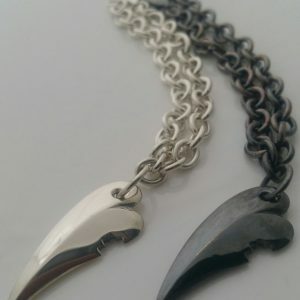 This is Rob Morris’ own favourite of his designs. 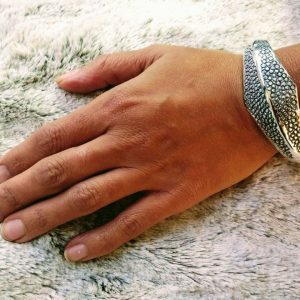 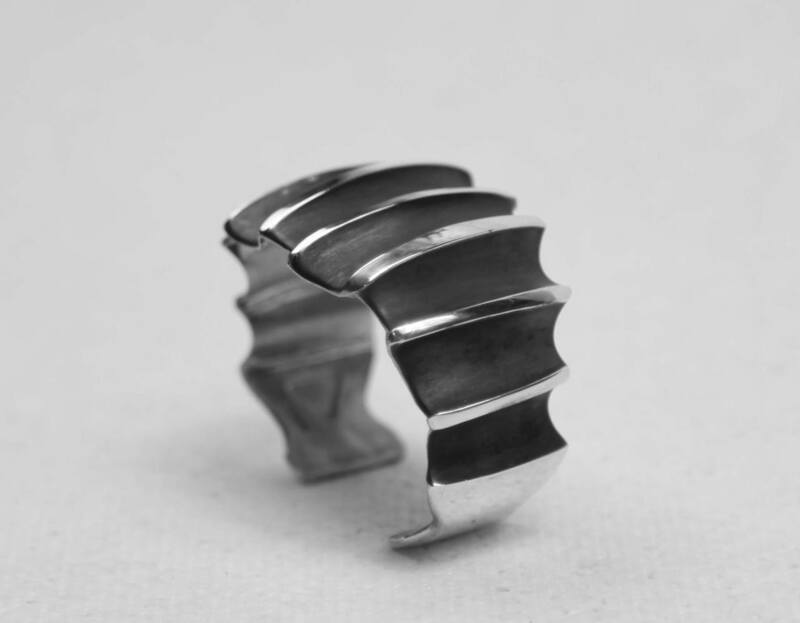 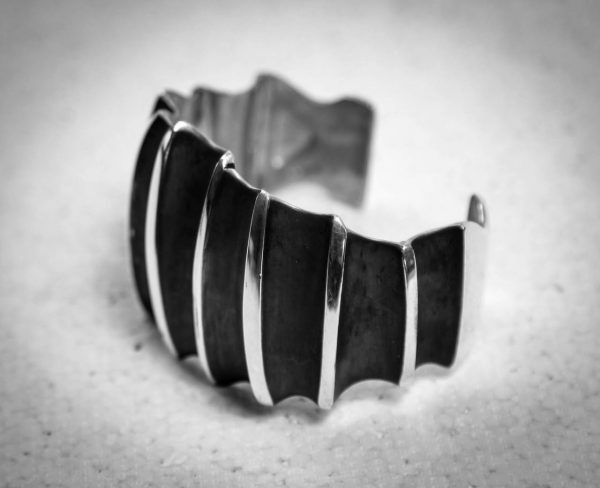 A truly stunning, chunky, solid silver cuff – a real statement piece. 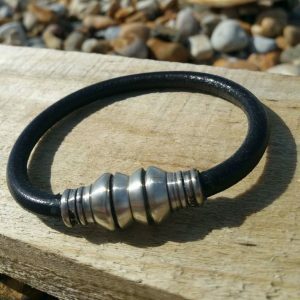 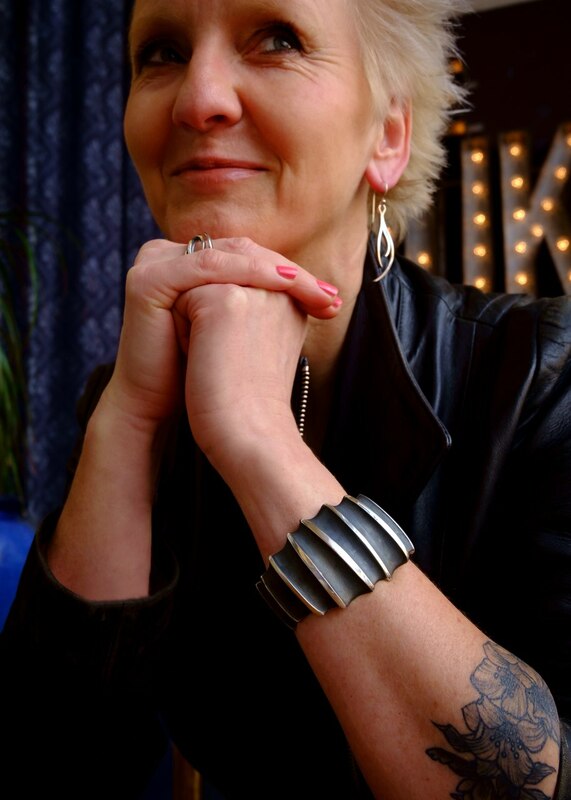 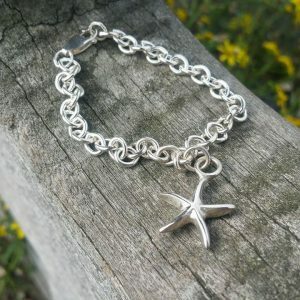 It’s only available in-store at the iS2 Gallery, 1 Horsebridge Road, Whitstable, Kent, England, CT5 1AF or Concept, 23 The Old High Street, Folkestone, Kent – although if you email Front Jewellery your wrist-size, we will happily post out a cuff to you!